Buy Ashaway badminton rackets, shoes, jerseys, shuttlecocks and more ... at great prices! 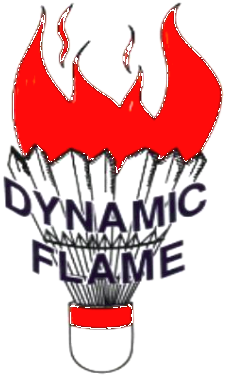 All Dynamic Flame Badminton Club (DFBC) members can avail discounts on all the items purchased through the club. Don&apos;t forget to mention your membership number when you confirm your purchase. DFBC members also accumulate additional Club-Points which can be used towards a free badminton session or additional discounts on future purchases. Confirm your purchase here. NOTE: This shop is exclusively for current (2018) DFBC members or registered players at the club. NOTE: Details for Bank transfer - Account name: Dynamic Flame Badminton Club, BSB : 066142, Account number: 10102773. If you are paying by cash, please bring a valid ID card to the venue.